Maintaining a well-performing, predictably available IT infrastructure for your company is obviously important. Access to your business applications, customer data, and your financial information are critical for the success of your business. If the computers and other IT hardware that deliver access to that information for you, your employees, and your customers fail, it will negatively impact your business. Customers and employees become frustrated, and your bottom line suffers anytime you have IT problems or outages. The truth is that avoiding IT issues is only possible if you are proactively monitoring your IT hardware. Staying ahead of potential problems, and correcting issues before they ultimately result in outages, is the key to maintaining availability and performance. The concept here is truly no different than engaging in regular, proactive, and disciplined checkups…just like we do with other items in our lives. We go to the doctor for regular checkups with the hope that if a symptom of a medical problem is detected, something can be prescribed to remedy the situation before a major medical issue occurs. We bring our car in for regular maintenance, changing the oil, checking engine fluids, and checking performance of the vehicle with the hope of avoiding a major breakdown on the road, or a major mechanical problem. In both of these cases, a lack of scheduled checkups or maintenance, “reactive management” if you will, could lead to serious problems: a heart attack can result from undetected high-blood pressure, or a clogged artery that could have been easily detected and rectified ahead of time; low oil levels, or dirty transmission fluid which could lead to a vehicle breakdown, could have been easily addressed ahead of time. And the resulting “cost” of addressing these issues without taking the disciplined proactive steps, could be astronomical: a major heart attack or a blown engine is nothing anyone wants to experience...and though these “real costs may be difficult to quantify, we all know they are significant”. The same theory applies to IT. There are “technical” things that can be done, “proactively” in the background, which will identify potential problems….much like regular scheduled checkups or maintenance. Those technical things can in many instances correct the problem, or at the very least, tell you what needs to be done in order to rectify the issue and avoid an outage. Things like disk drives that are performing poorly, and if not addressed, will fail. Viruses that are detected, can be removed; new viruses that have been identified in the market place, that your infrastructure can be protected from ahead of time so they never become an issue. Conditions in back-up routines that indicate a future failed back-up; computer processors that are being overburdened or are aging, that will ultimately fail. Events like these, and many others, can be proactively managed and addressed by an IT support provider, so an end-user or customer has a much higher likelihood of not facing a “hard down” outage. The difference with IT, however, is that this can only be done effectively if the infrastructure is being monitored and managed twenty-four hours a day. IT hardware is susceptible and vulnerable around the clock…conditions are just that dynamic. Someone, or more specifically something, like IT management tools, should be looking at your IT hardware all the time to give you the best opportunity to avoid any downtime for your business. IT outages are much less likely, and much less painful from a business perspective, if potential problems are addressed ahead of time, rather than when a complete failure occurs. We all know that when an outage occurs, it’s too late. That’s when the fire drill begins, and there is panic to get a vendor out immediately to fix something…often times something you are not even sure what it is…and what if a replacement part is required, and it’s not immediately available. Employees are aggravated with their inability to do their job. And most importantly, customers may be impacted negatively…orders may be lost, and your reputation may be put at risk in your specific market place. Needless to say, when there is an IT outage, the pain is an acute…a heart attack or a blown engine if you will…and though these “real costs may be difficult to quantify, we all know they are significant”. 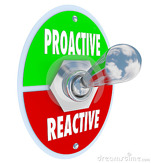 Taking a proactive approach to your IT support is far less costly than a reactive wait and see approach to IT support. A first step to becoming proactive with your IT is requesting a free network assessment, its like a health fitness exam for your IT infrastructure. Using Time & Materials IT Support? Are You Happy With The Results? You probably don’t realize this—but even though you are not an IT expert you can evaluate the best IT support for your business, and avoid those IT companies that are never going to give you great support, no matter how much money you pay them. This means you can choose between an IT company that truly wants you to succeed in IT rather than spend endless amounts of money fixing never ending IT issues with an IT company that simply isn’t motivated by your IT success. There are two types of IT support companies; the old business model is a Time & Materials company; here’s how it works: When you have an IT issue, you call them, they send out a technician and they fix your problem, they send you an invoice for a few hours’ work and they wait until something else in your company breaks and you call them in again, and again, and again. You have probably been doing this for years with your IT guy; so what’s so bad with the Break/Fix model? Honestly, as a business owner, I like the idea of paying as little as I can for IT support, I would certainly avoid hiring a full-time IT geek for as long as I could. It seems like the Break/Fix Time & Materials approach to an IT problem helps a business owner avoid hiring their own IT employee; you get IT services on demand when you need them and you only pay for what you use in support time. Isn’t that an ideal way to keep your IT costs as low as possible? Well maybe not; as we all know things aren’t always the way they seem. Imagine for a moment you are the owner of the IT provider instead of the consumer of the IT service. How do you grow your IT business and make more money? Well we already discussed that you have to wait until a client calls with a problem, then you send out your best technician so that you can solve the issue in the shortest amount of time so that the client gets the smallest T&M bill possible. Hmmm do you really think that’s how old style IT companies approach it? Or more likely, do they send out the least qualified technician that can solve the pain in the slowest timeframe possible so they can maximize the T&M invoice while clearing up the customers’ issue? Herein is the rub, the IT provider is not financially motivated to work as quickly as possible by deploying the highest skilled worker and searching for the underlying issue that will resolve the problem forever. After all, for the Time & Materials approach to be viable the IT provider needs you to keep calling them--so they never search for the underlying issues that could reduce your need for T&M support! So what does this mean to you as a business owner? The IT provider wants to maximize the time billed; you want it completed as quickly as possible. The IT provider isn’t really motivated in solving underlying causes of issues; you want the problem to never return by solving the root issue. The IT provider is motivated to send the least capable engineer and you want the most talented engineer in the company working on your network. The IT provider reactively waits until there is a problem to exploit the pain you are feeling with the IT issue, while you really need a proactive approach to IT issues, where things are solved before they become IT impacting. It turns out; there is another IT approach that will serve you and your company much better than T&M and I will explain what you need to know to choose the best provider for your business! 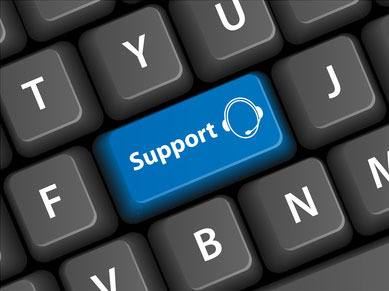 Download our Free Report on the Seven Signs that its Time to Call for Computer Support.